Fun Firefighter Birthday Invitations to a cheerful celebration that all the little firemen will enjoy. 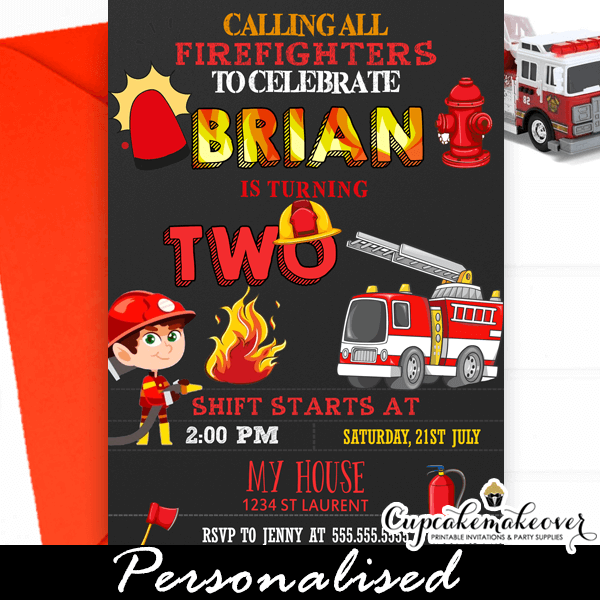 These personalized Firefighter Birthday Invitations feature a happy fireman chief, a fire hydrant and a red firetruck against a dark grey backdrop. The perfect diy invite for firefighter birthday parties!